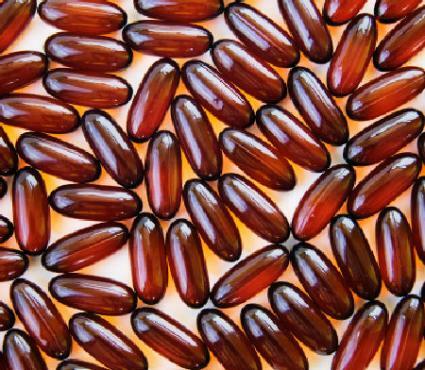 Flaxseed oil supplements can be a good way to get more omega-3 fatty acids. A flaxseed oil supplement may be a good alternative to fish oil supplements for vegetarians, vegans, and those who dislike the unpleasant side effects of fish oil. Flaxseed, flaxseed oil, and supplements offer compounds called alpha-linolenic acid, or ALA, that provide numerous benefits for health and wellness. Flaxseeds come from the flax plant (Linum usitatissimum). Flaxseeed oils are naturally occurring oils in the flax seeds that are pressed and removed. Flaxseed oil can be purchased at supermarkets and health food stores and replace olive oil and vegetable oil in salad dressings and recipes. It has a neutral, pleasant taste. Most people seek information on flaxseed because they hear about its health benefits. In recent years, researchers and nutritionists have identified essential fatty acids that are especially important for human health. These include the omega fatty acids: omega-3, omega-6 and omega-9. Modern diets are usually very high in omega-6 fatty acids. Corn-fed cattle and livestock as well as diets heavy in corn-based products are thought to cause an imbalance in the ratio of omega-3 and omega-6 fatty acids. Scientists believe that our ancestors ate diets substantially higher in omega-3 fatty acids, which decreased their risks of inflammatory diseases. According to the University of Maryland Medical Center, omega-6 fatty acids actually contribute to inflammation, while omega-3's decrease inflammation. There are actually three substances that comprise omega-3 fatty acids, and they act differently in the body. Eicosapentaenoic acid (EPA) and docosahexaenoic acid (DHA) are found in fish oils, while ALA is found primarily in flaxseed oil and other vegetable oils. Omnivores should strive to consume omega-3 fatty acids from both fish sources and plant sources. Vegans and vegetarians find their choices limited to flaxseed and other oils like walnut oil for their dose of healthy omega-3 fatty acids. ALA must be converted in the body into useable omega-3 fatty acids. Improved blood cholesterol: According to the University of Maryland Medical Center article on flaxseed, people consuming the so-called Mediterranean diet have more HDL or good cholesterol and a better ratio of HDL to LDL cholesterol. Plant-based oils are an important part of this diet and are thought to help moderate cholesterol levels. Cholesterol is produced in the body as a result of inflammation, and the buildup of plague on artery walls can cause heart attacks and strokes when it breaks away and forms clots. Reducing inflammation by consuming good omega oils may help reduce cholesterol and its relative - heart disease. Reduced risk of heart disease: Heart disease remains one of the top causes of death in the Western world. Numerous studies indicate that a diet rich in fruits, vegetables, and unprocessed nuts, seeds and their oils improve cardiovascular health. While there are numerous reasons for this, including improved consumption of antioxidants, fiber, and other beneficial nutrients from unprocessed foods, the increased amount of good omega fatty acids is also thought to improve heart health. Some people don't care for the taste of flaxseeds or flaxseed oil and choose to take a supplement instead. They're generally considered safe. It's important to pay particular attention to the manufacturer and brand, and choose high quality supplements to ensure fresh oils are used. Most adults can safely take a flaxseed oil supplement daily. One to two capsules, as recommended by the supplement manufacture, usually provide sufficient flaxseed oil for optimal health. The capsules do contain some calories, so count on taking in about 100 calories of oil or so. Again, check the bottle for an accurate calorie count if you're watching your weight. Even something as innocuous as flaxseed oil comes with some side effects and contraindications. When in doubt, consult your physician. People with diabetes and schizophrenia lack the ability to transform ALA into beneficial forms of omega-3 fatty acids, so skip the flaxseed supplements if you have either disease. The supplements will be ineffective and a waste of money. Flaxseed supplements can prevent other medications from being absorbed, so take the capsules by themselves or at least three hours apart from medications. Blood thinning medications: the increased amount of omega-3 fatty acids can actually increase the effect of these medications and cause excessive bleeding. Diabetic medications: flaxseed supplements may increase blood sugar levels, and diabetic medications, especially those that lower blood glucose, may need to be adjusted. Consult your doctor before taking flax supplements with diabetic medications. Taking a flaxseed supplement provides many benefits, but as with all supplements, follow the label directions, and talk to your doctor if you have any of the medical conditions listed or are taking a prescription medication.